Movistar Yamaha MotoGP’s Valentino Rossi and Maverick Viñales delighted the Thai fans at the Chang International Circuit with their speed on the second day of the PTT Thailand Grand Prix. After two solid practice sessions the teammates put their head down again in qualifying to score second and fourth position on tomorrow’s starting grid. Rossi left pit lane as one of the last riders, along with the majority of the field. Due to the traffic on track his first lap put him in tenth place, but he quickly climbed up to fifth on his next try. With eight minutes remaining he returned to the box. After a quick stop the Doctor resumed his time attack, and he was in the zone. He set a 1’30.099s to take provisional pole, but it wasn’t to last. The Italian was in second position when he had two more tries left. Pushing hard, he was especially strong in sector 3 and 4 but couldn’t further improve on his fastest time. He held on to second place on the grid for tomorrow’s race, just 0.011s from pole. Viñales followed the opposite strategy from his teammate. The Spaniard waited for the light to turn green at the exit of pit lane to make sure he was the very first rider out on track. His benchmark lap, a 1’30.871s, put him in third place after all riders got in their first flyer. As the pace picked up the youngster dropped back to sixth place on entering the pits. He changed to a second soft rear tyre but was unable to find the same confidence out on track. Luckily, the Spaniard was on a two-stop strategy and could hurry back to the team to switch to his second bike. The pressure was on in the final three minutes of the session, however, that’s when the number 25 rider thrives. He set a fastest first sector and three personal best sectors on his very last attempt and clocked a 1’30.328s. The lap boosted him to fourth position, 0.240s from first. Monster Yamaha Tech3 star Johann Zarco displayed a strong performance in today’s third Free Practice and progressed to ninth on his last lap to clinch a direct Q2 entry at the Chang International Circuit. 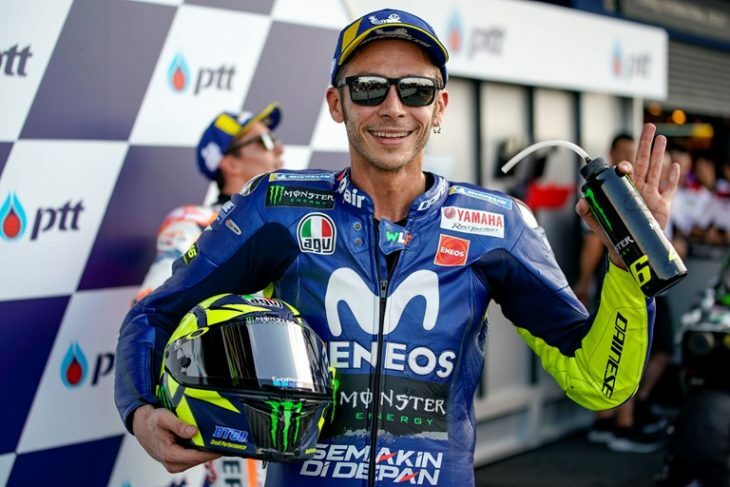 In Qualifying the fast Frenchman cut off 0.95 seconds from his fastest lap on Friday and ensured a start from the third row for the first ever Thailand Grand Prix at 14.00 local time (9.00 CET) on Sunday. Likewise Hafizh Syahrin made a huge step in FP3 this this morning, braking the 1:32′ mark to improve by 1.042 seconds compared to the first session on Friday. In Qualifying this afternoon, he lowered his lap time by further 0.330 seconds and eventually found himself in eighth place, missing out on Q2 by only 0.478 seconds. The Malaysian rookie aims to work further towards the race in Warm Up tomorrow morning in order to bring home some important championship points again.